VFD cases or chassis have Ingress Protection or IP ratings. These ratings tell us how well the VFD keeps foreign objects out of its internals. Some VFDs are completely sealed, while others are designed to have air passing through them for cooling. In the trade we call them by their NEMA ratings or IP ratings, such as NEMA 1 or IP20. I'll explain the common IP ratings and discuss how we can overcome some issues. Type NEMA 1 essentially means that you can't put your fingers inside it. Air can move in and out and of course dust and water could enter the VFD proper. NEMA 4 on the other hand, means it's completely sealed from fingers, water and dust. These are the two common VFD chassis types and it's important that we understand what the differences are and how they can be used in the shop environment. NEMA 1 VFDs are always going to need your help keeping them safe and dry. You could put them inside a box, or mount them way up high away from metallic dust or splashing water. Here is an example of what I did for an enclosure to protect my NEMA 1 VFD. I installed it in a sizable NEMA 4 enclosure. 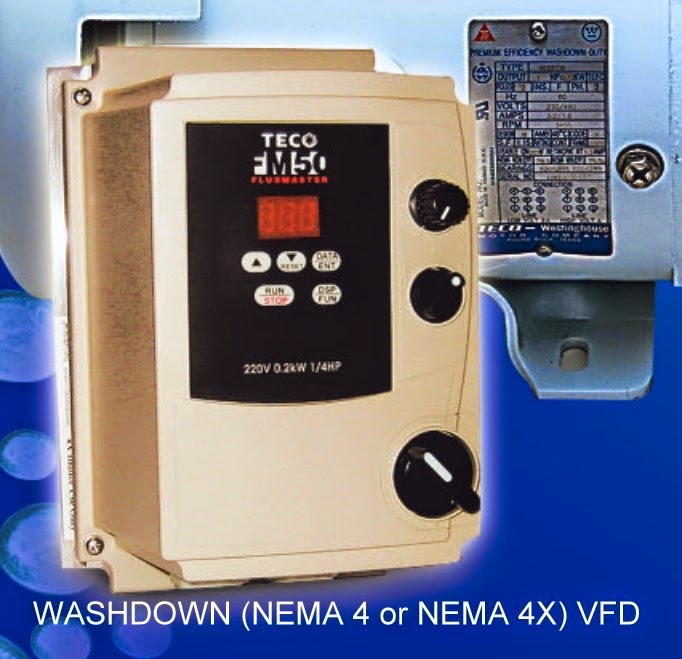 In my opinion, you should never run a plain old NEMA 1 VFD in a dusty, dirty, damp or wet environment. It needs to be protected or at minimum located away from the steel dust. I've seen a variety of ways to protect the VFD, steel enclosures, ABS, PVC, polycarbonate and even a Tupperware container (probably not the best idea). The goal here is to keep the dust out AND the heat from building up inside the enclosure. One option is to use one or two small fans, (like computer fans or muffin fans), an air filter and cutting slots / drilling holes in a sealed enclosure. This will allow the air to flow into and out of the enclosure, but any dust trying to get in stops at the filter. This type of enclosure is referred to a NEMA 3R. These enclosure types can get wet from above, but are not dust proof or water proof. Dust will be reduced by the use of a filter and the filters will have to be cleaned or replaced periodically. NEMA 4 or NEMA 4X VFDs are sealed and can be mounted right next to your grinder. These are sometimes called "washdown" VFDs. The KB Electronics KBAC series is a good candidate for a belt grinder. Google can be of help here. 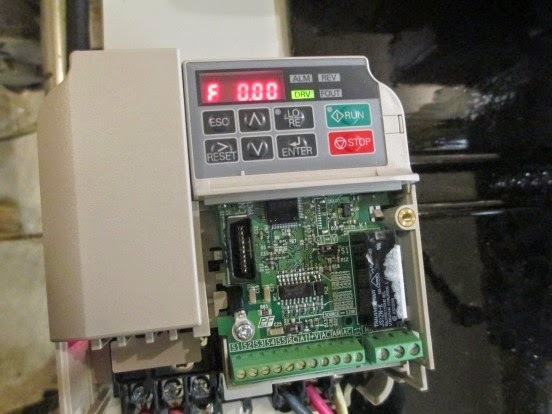 There are increased costs associated with a NEMA 4 VFD as the manufacturer had to seal and properly cool the drive. It is generally more compact as well. It will be easier to install on or near your grinder and often comes with sealed cord grips or strain reliefs that seal around the cables that go in and out of the VFD. If I wanted to save a little bit of money and felt like picking up an enclosure, filter and fan, I'd go with a NEMA 1 VFD. If I just wanted a sealed drive to drop on my grinder and go, it's a NEMA 4 for sure. The choice is yours. Compare prices for NEMA 1 and NEMA 4 VFDs and see if it's cost effective for you to buy a NEMA 1 VFD and add a small enclosure, fan and an air filter.